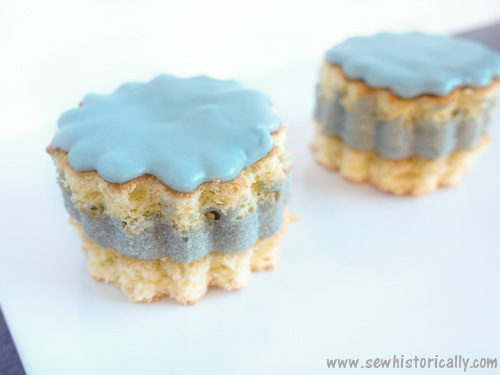 For the natural blue frosting, make the custard and let it cool completely. 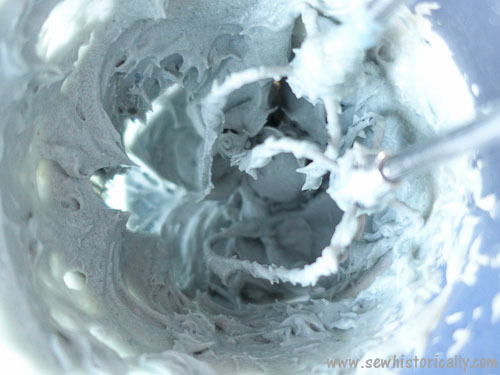 Using an electric mixer, beat butter and powdered sugar until creamy. 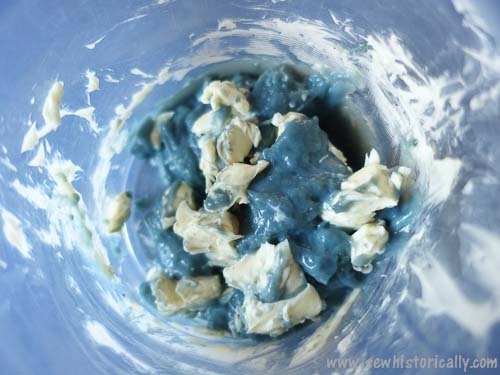 Add custard, 1 – 2 tbsp at a time, beating after each addition. 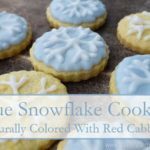 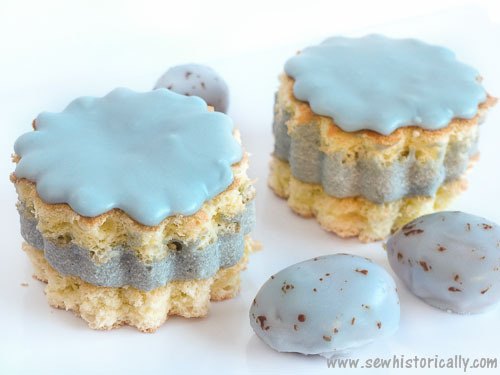 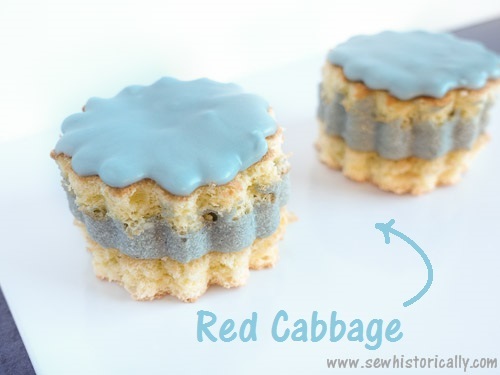 Because red cabbage dye is ph-sensitive, butter changes the color of the frosting: While natural blue custard is rather teal, the frosting is baby blue! 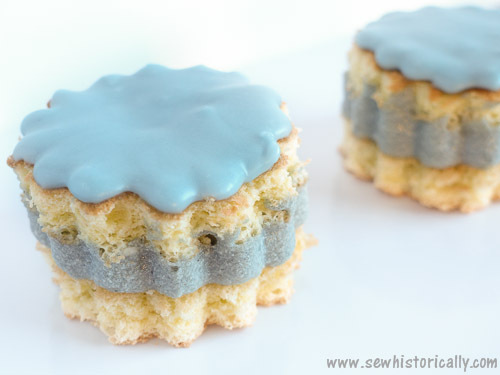 For the natural blue icing, stir together powdered sugar and boiling water. 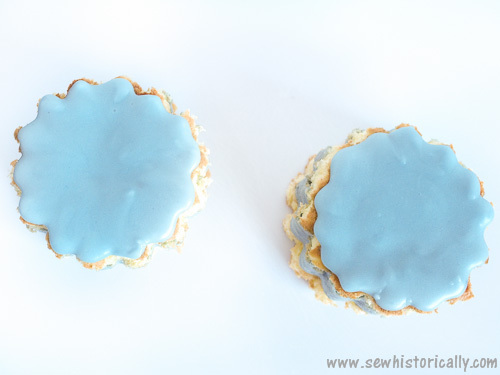 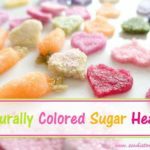 Color icing with some drops natural blue food coloring. 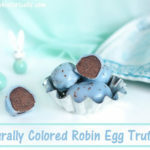 Here I used the natural blue icing to make speckled blue robin egg truffles.